Choosing a Blogging Platform. - CarseNoodle :: A Blog About Blogging And Earning Money Online. Home > Blogging > Choosing a Blogging Platform. 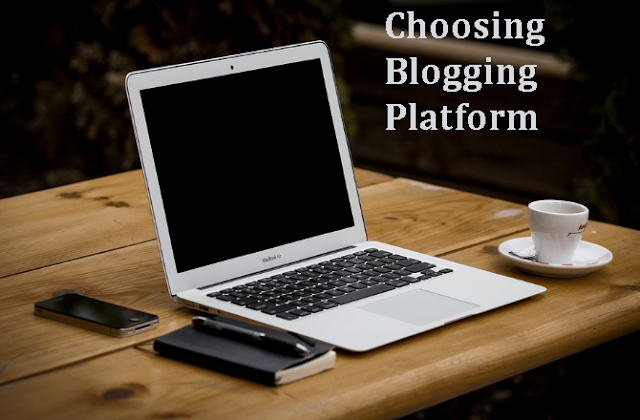 Choosing a blogging platform is important, But why? Below are some facts that you should consider while choosing your blogging platform. Why are you blogging? What is your goal? This thing matters a lot. Do you want to make blogging your profession? Or, it is only a fashion. There may a chance that you want to make some side income doing blogging. Why choose a free blogging platform. If you are blogging as your hobby. The income from your blogging doesn't matter to you, and then free blogging platforms are best there. Not all free blogging platforms are best. Some of these platforms put ads on your blog forcefully. So, using that type of platform is a foolish thing while there are better available. Google blogger platform is the example of a best free blogging platform. It also offers a subdomain yourname.blogspot.com, which you can upgrade with your own domain name without any extra cost. Free blogging platform can be also an option for new bloggers that don't have enough funds to invest in hosting. But as I said not all are good. You can choose blogger as a platform to start a blog. Blogger platform is so easy to use. Also, blogger blog is the best way to get an Adsense account easily. After you earn some amount blogging, you can move yourself to paid platforms. When I stated paid platforms, I referred to self-hosted blogging. And, WordPress is the best blogging platform to start a self-hosted blog. You can learn here how to start a WordPress blog without much effort. The best part is that you will have all the control of your blog. You can write everything you want, share anything you want, as long as the government laws allow it. Also, many free blogging programs don't allow putting third-party ads on their platform. As a self-hosted you can put advertisement of the network you think best for you. For free blogging platforms, for almost all them you would find some restrictions in designing the site. Many useful features and plugins are not available. But, if you are hosting your blog on a best-paid hosting site, you can add all the features plugins you need to add. There are many disadvantages of using a free blogging platform, which differs for every platform. You will find comparisons of blogging platforms on this site. But, the main thing is if you are starting a new blog and your aim is to earn money from your blog. Then I strongly recommend you to choose a hosting service that best suits you, and starts blogging installing WordPress on it. WordPress offers free blogging on their subdomain, but with limitations. This is good for blogging as a hobby. For professional blogging, you must choose a good hosting service.